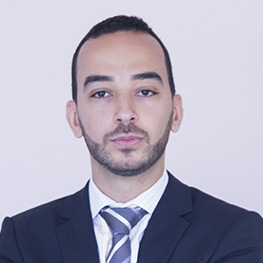 Azzeddine Chaibrassou is a management consultant and entrepreneur, founder of Qard, an e-financier specialised in providing working capital for small businesses. Qard targets the European SMEs financing market and is based in Paris and Zurich. He is also an advisor to the Swiss Financial + Technology Association and an active member of the Arab Swiss network. He has an extensive experience in financial and strategic advisory acquired within Deloitte Luxembourg and Switzerland where he served several top tier private banks. He is a graduate of the Leiden University and the Rotterdam School of Management.